You are here: Home » GENRE » Horror » Fear the Walking Dead 4th season (part deux) (trailer). Fear the Walking Dead 4th season (part deux) (trailer). Here’s the Comic-Con trailer for the back-end tail of the 4th season of Fear the Walking Dead, where we’re introduced to a couple of cool-looking truckers as well as all the new faves … SWAT Tank Girl, Lonesome Pacifist Cowboy, Morgan, you know who I mean! 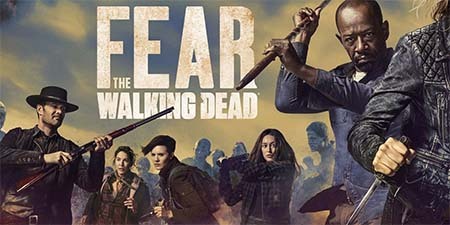 Fear the Walking Dead 4th season (part deux) (trailer)..
« The Walking Dead season 9 (mega-trailer).